With this knowledge we began to realize that what we had done on a very miniature scale was replicate the knowledge of the past of using earth energies to unite nature, earth and man as one. Inspired by Canadian Les Brown who wrote the book on using pyramid energy for growing food - in fact for increasing production yield, this picture shows the building of Charles' pyramid - really two pyramids in one. 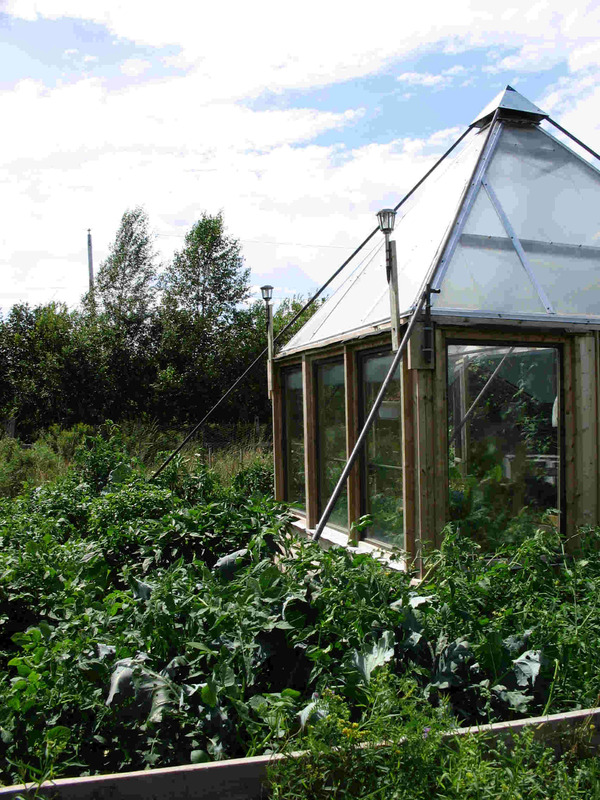 The picture above is the year 2006 - the first growing season using the pyramid only a 20 square food growing area. The picture below shows the incredible abundance a few months later. Traditionally, whatever Charles plants at one of the corners has the highest yield. For instance, one potato plant usually yielding 4-5 potatoes has been found to average a yield 40-50 potatoes. Now (in 2011) in use for many years the yield of planting one potato in the corners up to an average of 80! 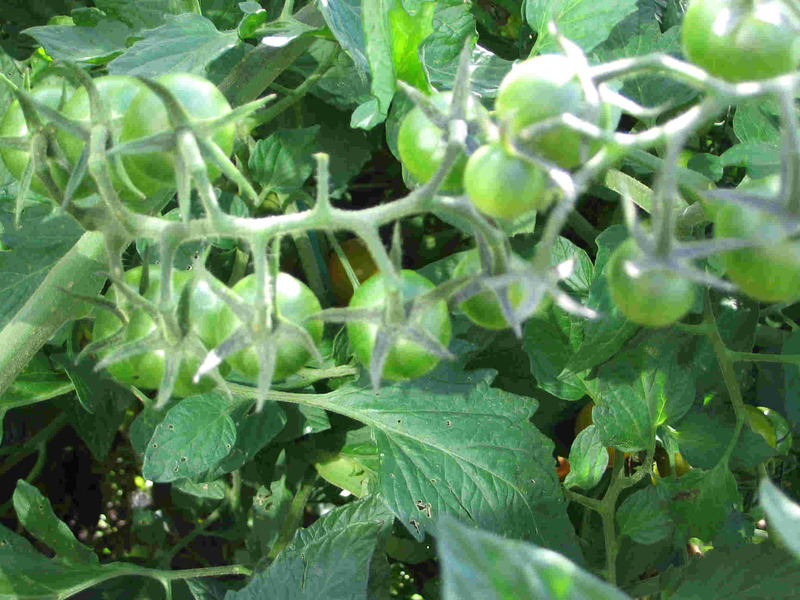 The picture below is of a dwarf cherry tomato plant. 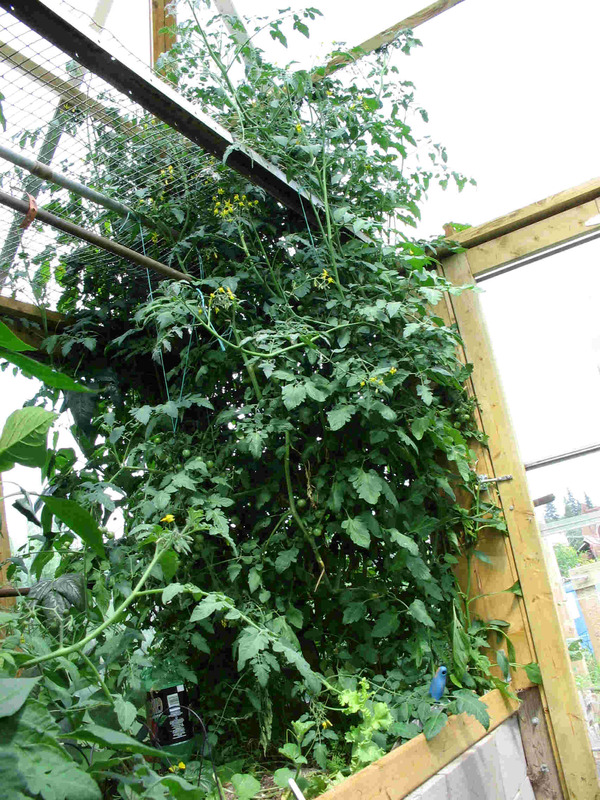 Here un July, 2006 it is 5 feet tall and this single plant is already taking over the interior of the pyramid. It should not be more than 3 feet high. By September, it was hitting the roof at 9 feet - and still producing a high yield of fruit as pictured in the second picture below. A common material wood: an uncommon tool - a pyramid that even in such a simple format can produce incredible results. Not only does it improve the growth of whatever is planted within it, it supports the energies and radiates them out to the rest of the garden. 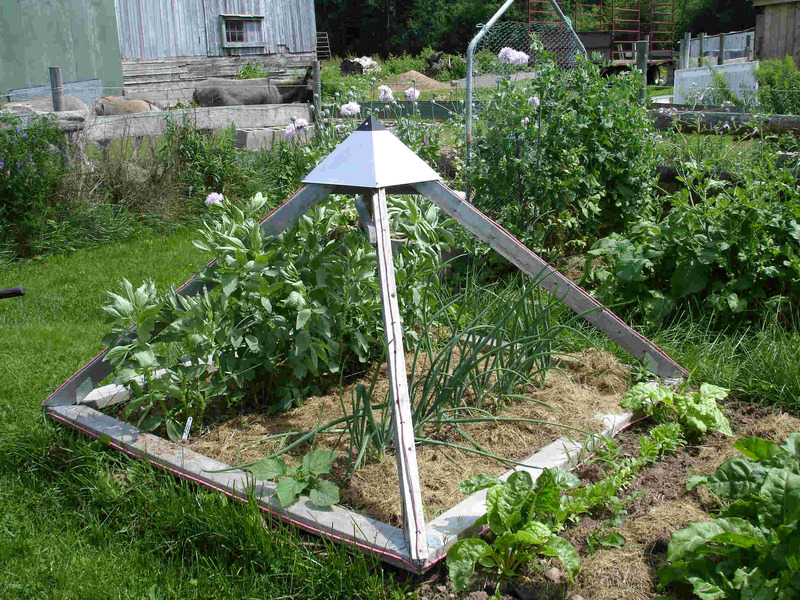 This garden has two 4-foot wooden pyramids in it. Again, the soil is simply cared for with biodynamic preparations and a few other minerals. Earth energy circles use naturally occurring earth energy to broadcast out nutrients to the farm land. They also help to draw down to the soil the ample available cosmic energy down that further supports soil health. Unseen to the eye is the further assistance of the nature spirits. 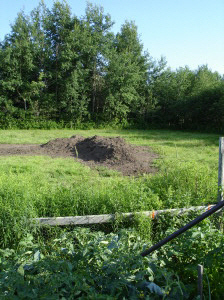 Be a compost pile in the animal field or in the grain field - this is a compost that is NOT spread out and mixed with the soil. 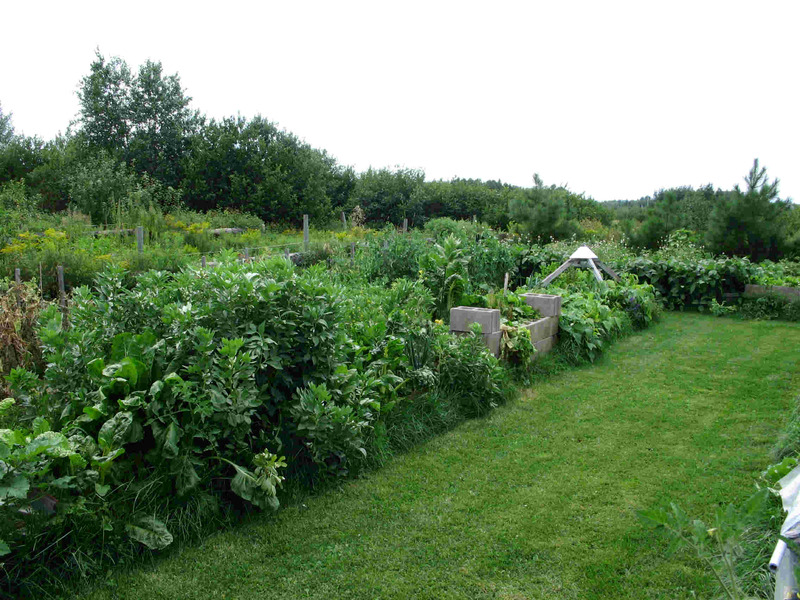 Instead, using earth energies again, and biodynamic preparations, the compost is left to "simmer" aging and maturing while it sends out energetic vibrations to the field or garden.